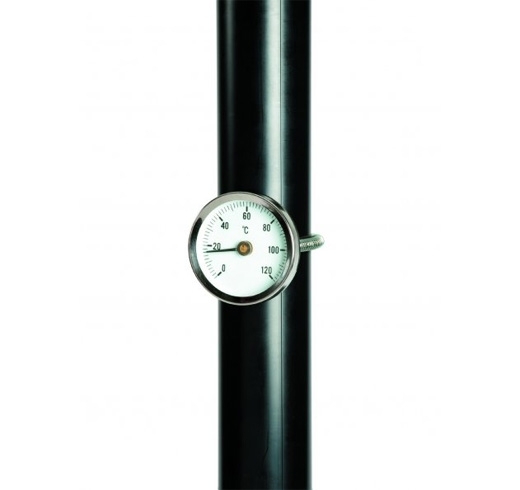 This easy to use surface pipe thermometer features a Ø60 mm nickel plated dial and indicates temperature over the range of 0 to 120°C. The Ø50 mm dial face has a clear, graduated scale indicating temperature in 2°C divisions. Each thermometer is supplied with a wrap-around spring kit (53mm long) for pipe mounting. For larger pipes it is possible to attach the thermometer to pipework using either tie-wraps or wire (not supplied).